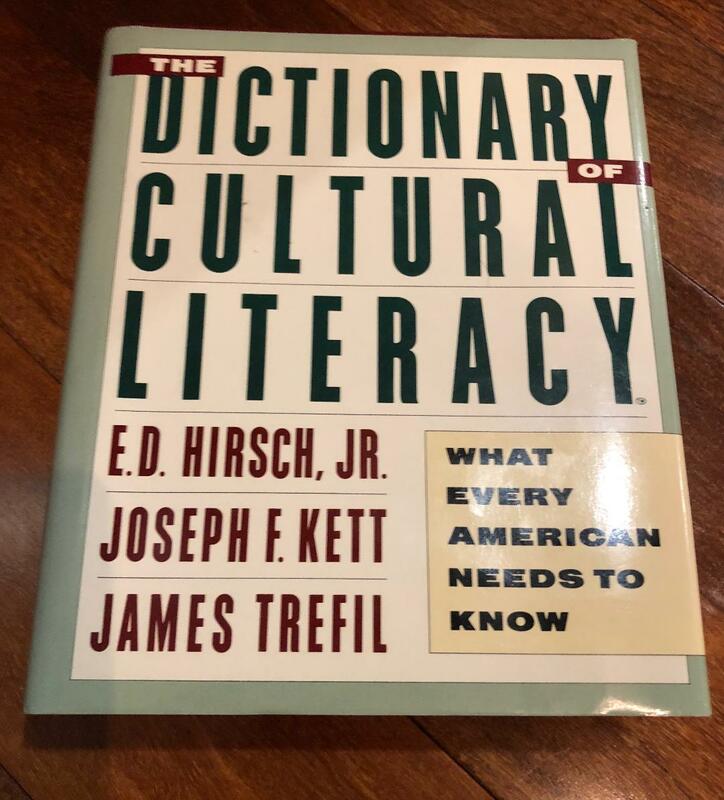 Almost exactly 25 years ago, a close friend gave me a book called “The Dictionary of Cultural Literacy: What Every American Needs to Know.” The book contains 23 sections, representing “major categories of knowledge”, each containing hundreds of entries discussing ideas, events, and individuals that were “essential for understanding American discourse”. At first, I thought my friend chose the book because its lead author, E. D. Hirsch, was a professor at the University of Virginia, my alma mater. But, after reading the book, I found a deeper reason: Hirsch argued for the importance of teaching facts. “Facts are what you need to read properly, and to learn more, and to communicate.” Said another way, you won’t be able to solve problems unless you have the relevant knowledge to do so. My friend knew that my own education followed a similar pattern; in high school, I had several classes focused on memorizing facts. After Cultural Literacy was published, it was criticized by some who believed Hirsch’s ideas were “elitist, Eurocentric and focused too heavily on rote memorization”. While this may have been true in the initial list published in 1987, subsequent editions of the book expanded and updated the list. The most recent edition, from 2002, is decidedly multi-cultural. The research shows that we forget things we are confident we can find on the Internet but we are more likely to remember things we think are not available online. Furthermore, we are better at remembering where to find something on the Internet than we are at remembering the information itself. So, what if we wanted to create a modern version of the cultural literacy list? We would definitely use wisdom of the crowds. It would be an online list that never stopped changing, whose entries were added or removed, increased or decreased in importance, according to popular belief. It would be a ranked version of Wikipedia. Maybe it’s not surprising that the last edition of Cultural Literacy was published in 2002.